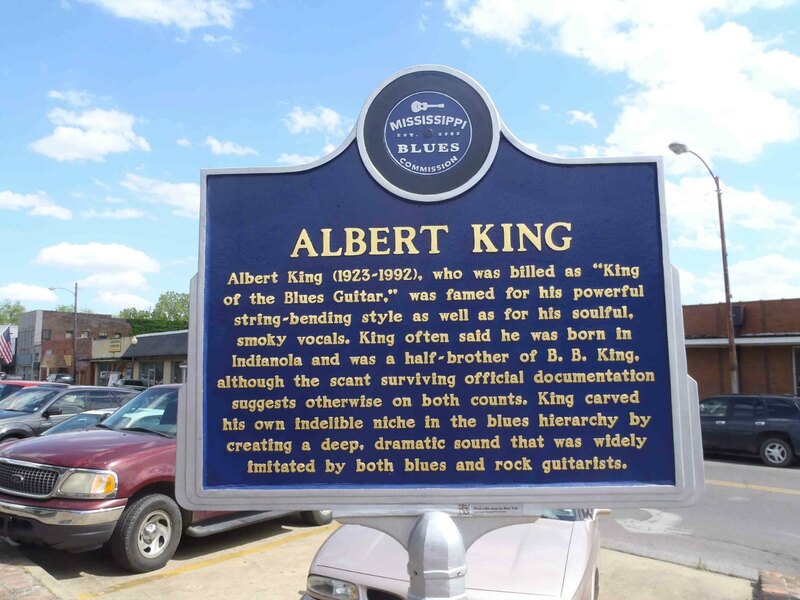 The Mississippi Blues Trail marker commemorating Albert King is located in Indianola, Mississippi. There is another marker a block away commemorating B.B. King’s corner.